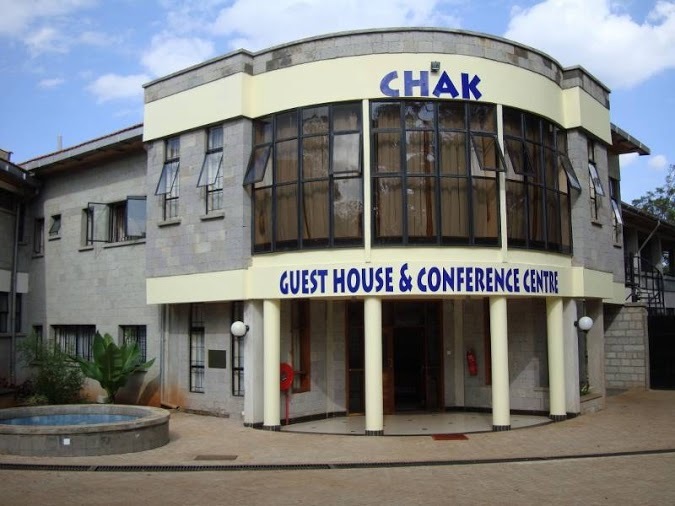 CHAK guest house & conference centre is suitable for individual and corporate clientele located in the lush New Lavington Area of Nairobi, easily accessible from Waiyaki Highway and conveniently located near the busy Westland's Shopping Centre. CHAK Guest House is located in the serene New Lavington Area of Nairobi on Musa Gitau Road off Waiyaki Highway, 8 Kilometers from Nairobi City Centre. Airport transfer from Nairobi Jomo Kenyatta International airport or Wilson airport to Chak Guest House or transfer from Chak Guest House to Nairobi Jomo Kenyatta International airport or Wilson airport.